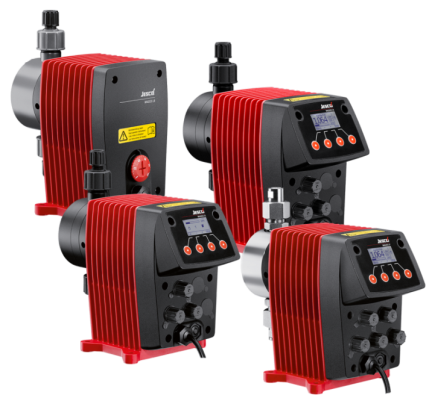 Wajax Industrial Components has added Lutz-JESCO dosing and metering pump equipment, chemical feed systems, and related components to its product portfolio, offering customers across Canada a variety of pumps and pumping systems designed for some of the harshest operating conditions that exist. 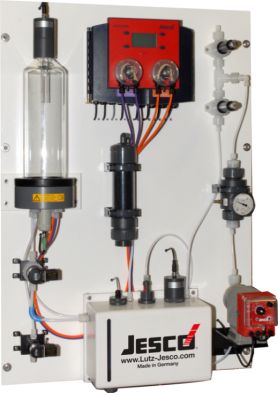 For over 75 years, Lutz-JESCO has been manufacturing dosing equipment and related components with world-leading innovation and quality. Its products can be used in all kinds of dosing and disinfection processes, with a main focus on the treatment of drinking water, process water and industrial wastewater. 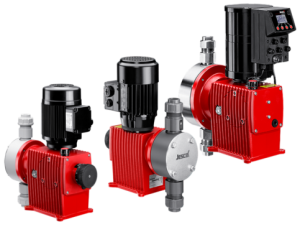 Dosing pump requirements are as varied as their possible applications and uses, so the company has developed special solutions for each area of application. The extensive product selection ranges from cost-effective, magnetically-operated diaphragm dosing pumps, through ‘muscular’ motor-driven diaphragm dosing pumps, all the way up to piston dosing pumps for high-pressure requirements. These are used for dosing fluids with highly varied viscosities, most of which are chemically aggressive and toxic, and some of which are actually abrasive or emit gases. “Wajax Industrial Components’ extensive experience in the industrial pump market, combined with Lutz- JESCO America’s broad, state-of-the-art product offering in chemical feed equipment and industry- leading customer service support, will have a tremendously positive impact on the chemical feed landscape throughout Canada,” added Seitenberg. To learn more about Lutz-JESCO, visit www.lutzjescoamerica.com, or contact Lutz-JESCO America Corp., based in Rochester, NY, manufactures and sells chemical feed technology and related equipment throughout USA, Canada, and parts of South and Latin America. Wajax Corporation is a leading Canadian distributor engaged in the sale, rental and after-sale parts and service support of equipment, power systems and industrial components, through a network of branches across Canada. The Corporation is a multi-line distributor and represents a number of leading worldwide manufacturers across its core businesses. Its customer base is diversified, spanning natural resources, construction, transportation, manufacturing, industrial processing and utilities. For more information, visit www.wajax.com.